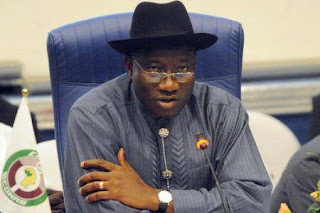 President Goodluck Jonathan of Nigeria has signed the Tobacco Control Bill and five others passed by the National Assembly into law. Among the bills that were signed on Wednesday was the Tobacco Control Bill of 2015. A spokesman for the President, Dr. Reuben Abati, confirmed the development to reporters. He said: “Other bills signed into law include the Nigerian Electricity Management Services Agency Act 2015; Equipment and Leasing Bill 2015; AMCON (Amendment) Bill 2015; Standards Organisation of Nigeria Bill 2015 and the National Sugar Development (Amendment) Bill 2015”. The Tobacco Control Act 2015 repeals the Tobacco Smoking (Control) Act, Cap.t6, LFN 2004 enacted in 1990 and amended years later. The Act will ensure effective regulation and control of production, manufacture, sale, labelling, advertising, promotion and sponsorship of tobacco and tobacco products in Nigeria. It will also ensure balance between economic consideration and health implications of tobacco manufacture, use and exposure to environmental tobacco smoke, among other things. The Equipment Leasing Act regulates the business of equipment leasing in Nigeria. It propose to bring sanity and certainty to the practice of leasing in Nigeria as well as protect the lessees (users) and the lessors (owners). The President and the National Assembly had earlier on Wednesday, resolved the feud between both parties in the amendment of some sections of the constitution.